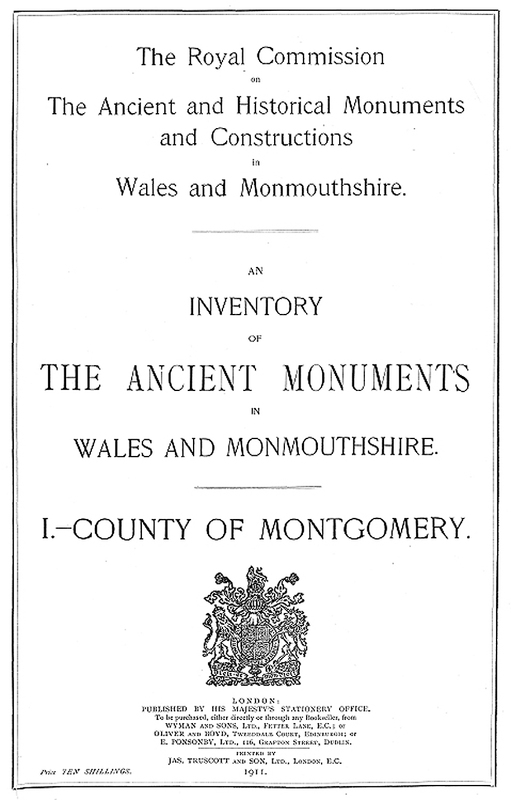 Buy eBook Now An Inventory of the Ancient Monuments in Wales and Monmouthshire: I – County of Montgomery at Google Play. ALMOST every class of objects and type of constructions with which the student of Welsh antiquities becomes acquainted is represented within the county of Montgomery, though in their relative importance the various classes differ widely one from another, and some types are singularly deficient in characteristic examples. The divisions adopted are those of the Civil Parishes in the Administrative County, following the arrangement in Table 11 of the Census Reports of England and Wales for the year 1901.